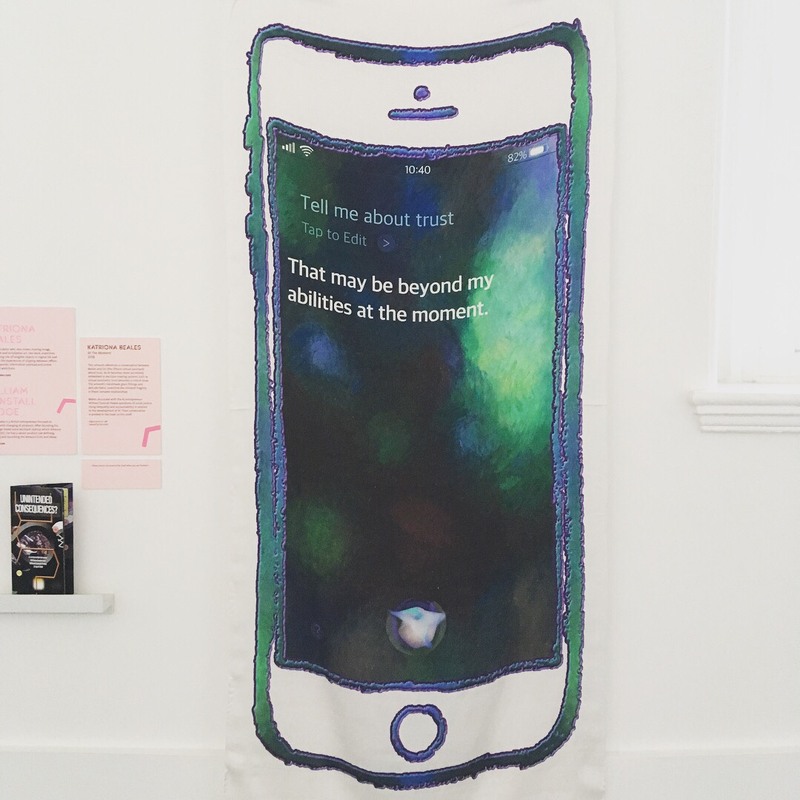 ‘At the Moment’ is a digital print on silk suspended from handmade glass infinity shapes. 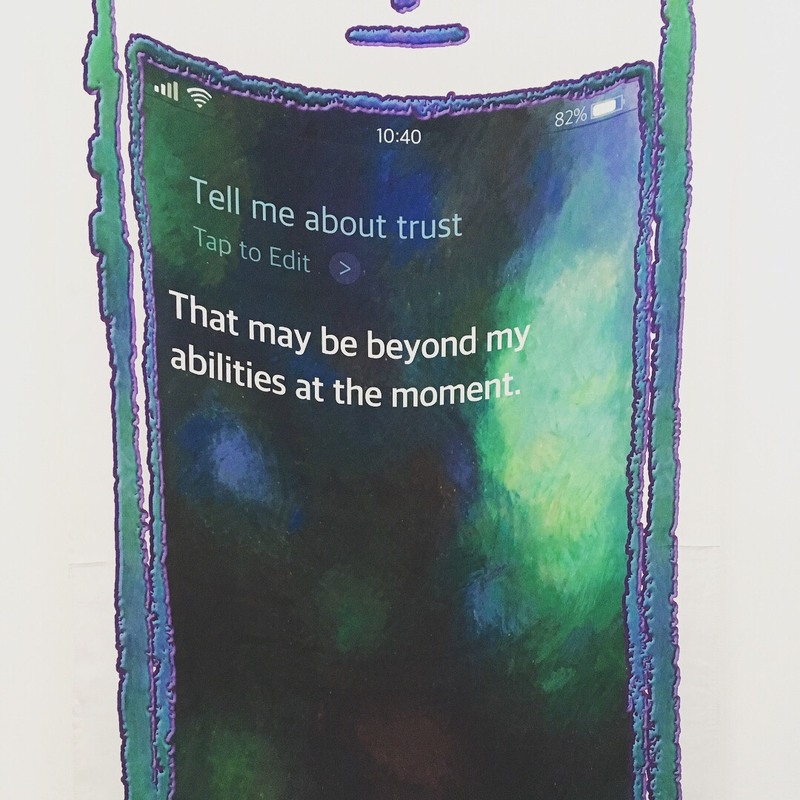 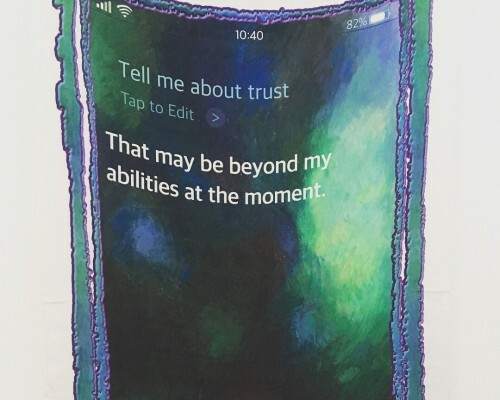 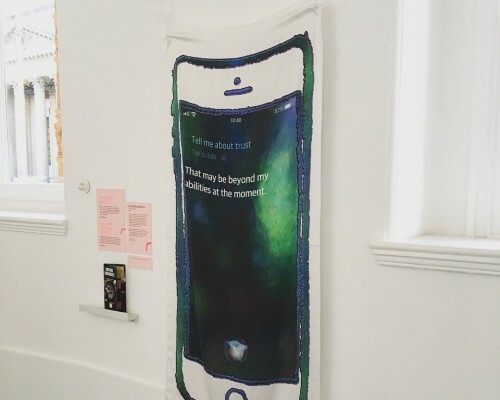 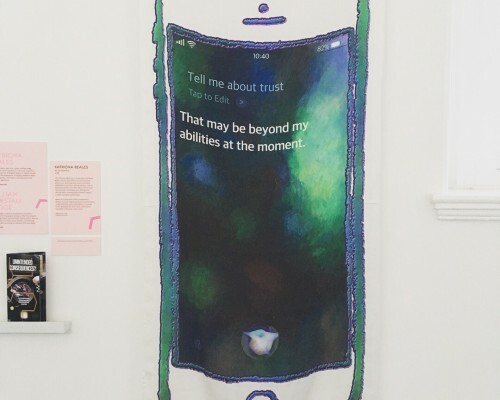 The design references a conversation Beales had with SIRI about trust, and the materials are chosen to underline the fragility inherent in these relations. 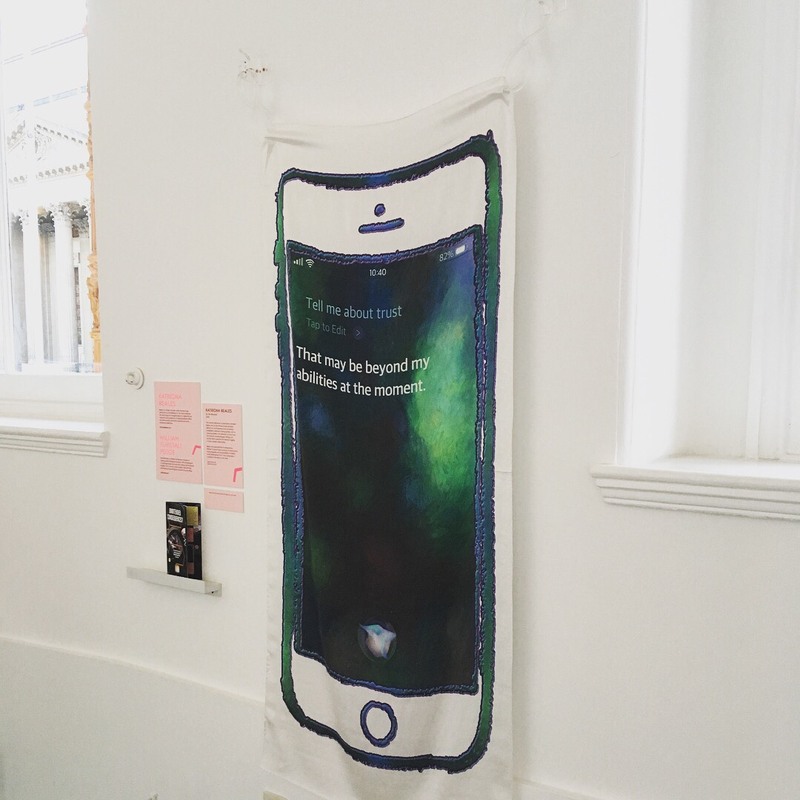 ‘At the Moment’ was commissioned by Irini Papadimitriou for ‘Artificially Intelligent’ at the V&A Sept-Dec 2018. 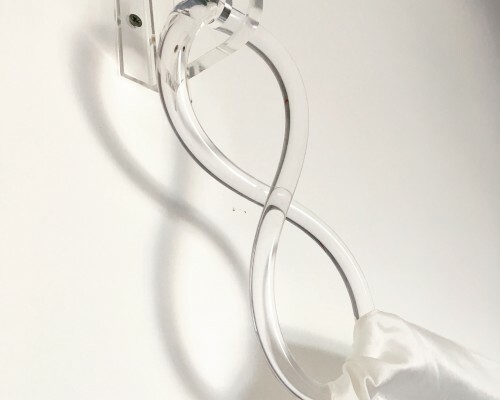 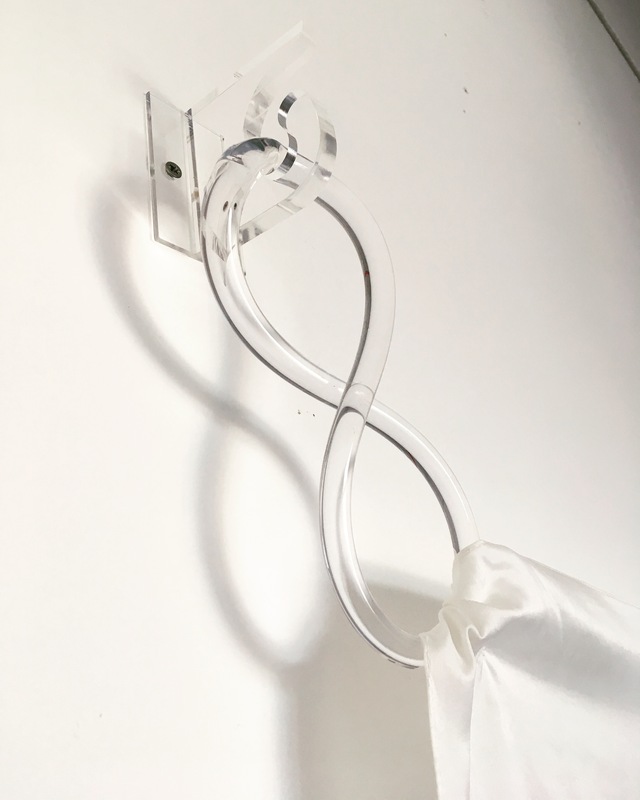 Credits: Glass – Bruce Marks; Perspex hooks – Weber Industries.